The opposition alliance had initially indicated that it would back Kanhaiya's bid for the Begusarai seat but the constituency is now likely to go to the RJD. 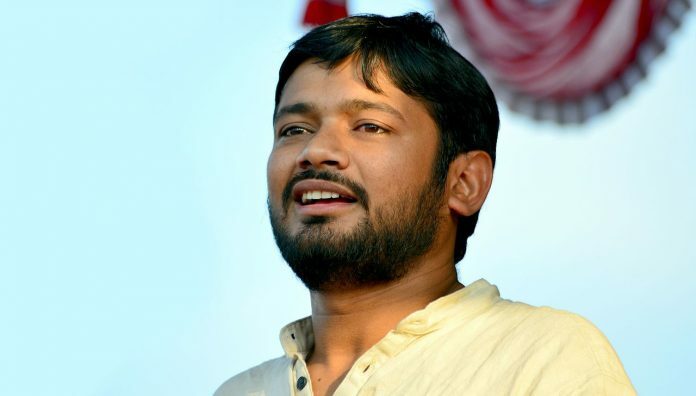 Patna: The political ambitions of former JNU student union president Kanhaiya Kumar have been given a reality check in Bihar where the grand opposition alliance is now unlikely to back his bid to contest from the Begusarai parliamentary seat. Kumar’s CPI is not a part of the grand alliance headed by the Rashtriya Janata Dal (RJD) but the united opposition had initially indicated that it would support his candidature from Begusarai, his hometown. The constituency is now being tipped to go to the RJD under the opposition’s seat-sharing arrangement. The RJD’s change in stand, with regard to Kumar, appears to have come after Tejashwi Yadav took over reins of the party. Tejashwi’s father, RJD supremo Lalu Prasad Yadav, had accorded a warm welcome to the student leader in 2016 and had last year indicated that he would support his candidature from Begusarai. There is a perception that Kumar, due to his oratory skills, could create problems for Tejashwi, deemed the successor to Lalu’s legacy. The RJD is also likely to induct only the CPI(ML) from the Left Front, which includes the CPI and the CPI(M), into the united opposition. The RJD, sources in the party said, believes that the CPI(ML) has pockets of influence in nine Lok Sabha seats in Bihar and is a better bet than the CPI. The CPI(ML) is likely to be offered the Ara parliamentary seat. The other parties in the alliance include the Congress, the RLSP headed by former union minister Upendra Kushwaha, the HAM of former Bihar CM Jitan Ram Manjhi, Sharad Yadav’s LJD and Mukesh Sahni’s VIP. Despite the constituents of the grand alliance claiming that they have reached a consensus on seat-sharing, there has been no announcement in this regard. Opposition leaders are tight-lipped, stressing that it will be Tejashwi who will make the formal announcement. The alliance was to first announce a seat-sharing deal on 18 March but that was shifted to today. Sources have told ThePrint that the formal announcement will most likely be made on 22 March, as the RJD deems 20 March and 21 March as “inauspicious days”. RJD sources indicated that seat-sharing has been finalised as the Congress has finally scaled down its demand to nine seats from the initial 15. Bihar has 40 Lok Sabha constituencies. “They accepted the deal after we assured them that we would support their candidate in the Rajya Sabha polls,” an RJD leader said. The seat-sharing had hit a roadblock primarily because of differences between the Congress and the RJD. The Darbhanga Parliamentary seat, for instance, had been a bone of contention between both parties right from the beginning. The sitting MP, former cricketer Kirti Jha Azad, joined the Congress from the BJP and the grand old party made it clear that it would not compromise on the seat. The RJD, however, wanted the seat to go to the VIP’s Mukesh Sahani — a local resident who has made a fortune designing sets for Bollywood films and serials. Sources in the Congress said that the RJD has finally agreed to give up the seat but has refused to give in to the Congress’ demands for the Madhubani and Maharajganj Lok Sabha constituencies to go to former union minister Shakil Ahmad and former IAS officer Vimal Kirti Singh respectively. “The talks in Delhi nearly broke down over some seats,” a senior Congress leader said, adding that it was only after a lot of persuasion that the RJD let go of the Purnea seat. The Congress was keen on the seat as the BJP’s Udai Singh, a two-time Purnea MP and the brother of the Finance Commission chairman N.K. Singh, formally joined the party Wednesday. Sources also said that a consensus was reached as the Congress scaled down its demands because it did not want to repeat of its UP fiasco, where it has been left out of the opposition alliance. “After all, the ground reality is that our candidates will have to rely heavily on the RJD’s social base,” a senior Congress leader said, alleging that the RJD had used other allies such as HAM to create pressure on the national party. The copy has been updated with Tejashwi’s quote to reporters in Patna. We do not require so many candidates whose creditencials r doubtful. India has leaped forward from Craigslist to Chandigarh. What a great progress. Keep it up. HOW COME THIS TUKDE TUKDE GANG LEADER CAN BE ALLOWED TO CONTEST , THAT IS THE BEAUTY OF OUR DEMOCRACY. He must stand as an independent. Kanhaiya should not confine himself to his constituency or state. He should be an individual fire brand as he is now. From time to time different parties have used Leftists, which are very bold and fearless orators, for opposing the ruling governments . When the time of elections approach, Leftists are sidelined . Entire Indian history, since the time of Britishers, is a proof to it. Like “maut ka saudagar” and “chaiwala” jibes, “chowkidar chor hai” has given one more catchy slogan to Shri Narendra Modi to hit back at. Modi should pray for this dynastic team in Congress to keep scoring self goals; his best bet to keep winning. Kanhaiya Kumar should now understand that there is a huge gulf between political parties propping him up as a proxy in a battle with BJP, within the confines of a university, and real politics. He has been used and thrown. Hilarious bunch of people going around with the name “maha-gathbandhan” when it’s neither Maha nor a proper gathbandhan. Seems to breakdown every now and then. Stand against pappu and the gawar son of bail.both from u.p.and Bihar. Great pity. The gene pool of the political system needs to be enriched from time to time with the induction of such talented individuals. Too much inbreeding of dynasts at the moment. Garbage is more valuable than kanhaiya.